This is a specialty website written about meanings and effects of gemstones. It would be great if it is useful to find out the meanings of gemstones or search a good gemstone that fits you. You can see the gemstone list by clicking the menu button. If you know well about gemstones or for those who want to search gemstones intuitively, please use the link from the menu button. You will see the meanings and effects of the gemstone by clicking the name. All pictures are taken with high-quality camera. You might get healed just by watching the pictures of gemstones. There are many ways to search in Gemstone Dictionary. You can search by name, birthstone, color, and wish. Search menu is located at the top and the bottom of the website. 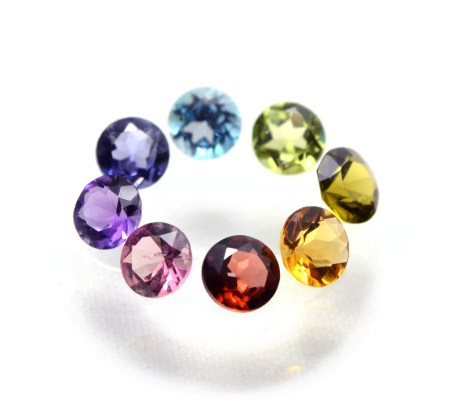 By clicking, you will have a list of gemstones which matches your purpose. Some people would want to search from meanings and effects, and some people would want to choose from its appearance. Please try the search menu of Gemstone Dictionary first. The names of gemstones are pretty unique. Some gemstone names are fairly easy to guess their meanings and effects. For example, we can imagine “the sea” from Aquamarine, and we can tell that Angelite is a gemstone that is related to “an angel.” You might find your favorite one just by glancing through the name list of Gemstone Dictionary. People who like the moon would like Moonstone, and people who like the sun would like Sunstone. It would be fun just by looking for keywords that are related to you. If it is difficult for you to choose by meanings and effects of gemstones, please try the birthstone list. Birthstone is a special gemstone depending on which month you were born. There are some for each month, January to December. Human’s personality and talents differ by their month of birth, so that is why we need a special gemstone. By wearing your birthstone, it would bring out your potential power. On Gemstone Dictionary, you can find your best gemstone from your birthday. If you want to look for a life-long gemstone, birthstone search will be useful. The meanings and effects of gemstones can change by colors. Searching from the color list would be a nice way to find a good gemstone. Flame burning red is a symbol of “vitality and action” and pure sky blue is a symbol of “mind and thoughts.” It is also good to choose one intuitively by its color, because people would naturally pick the color that matches their personality. Gemstone Dictionary shows each gemstone with pictures, so it will be easier for you to choose by colors. Please click the link for more details when you find a good color for you. Wish list is useful when you want to search by meanings and effects. Popular kinds of wishes are made into a list. There are common ones like love luck, business luck, and health luck, and other categories such as amulets or human relationships. Please choose the one that fits your situation and look for the details. Copying of pictures and writings is prohibited.